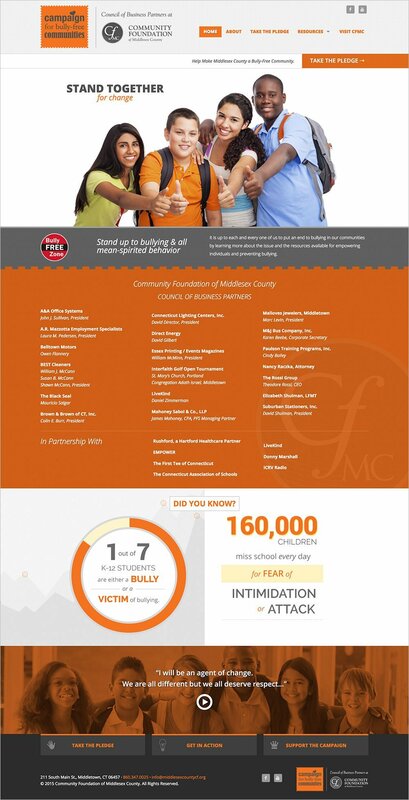 CFMC approached us to do a micro-site for their newest non-profit campaign, Bully-Free Communities. As the area’s community foundation, they worked with local businesses, schools, government, students, and public to generate pledges standing against bullying and mean-spirited behavior. 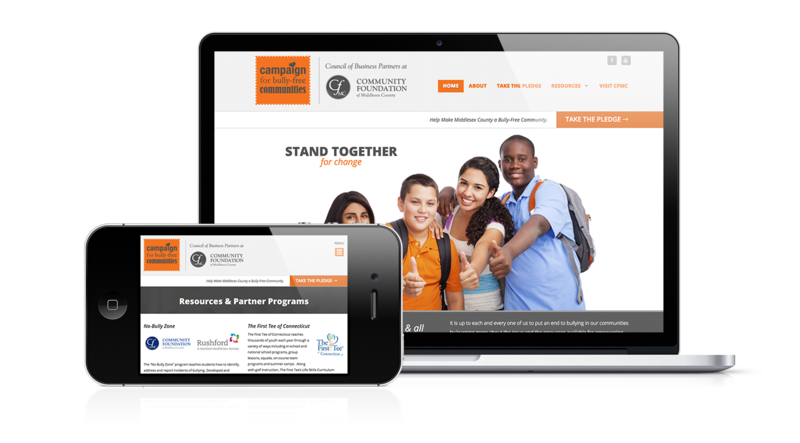 We were very glad to help create this simple, responsive website to get the community moving.